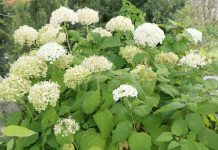 The numerous small flowers with their colorful, radically arranged petals are responsible for the fact that the white wood aster belongs to the most attractive late blooms in Central Europe. In late summer and autumn many flowers cover the lush green shrub. Choosing the right location and taking care of it according to the following instructions will ensure that you can enjoy the flowers for several months. Only when most of the ornamental plants have already faded, the colorful white wood asters have their great appearance. 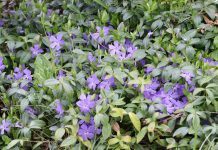 On the small shrubs, numerous colorful and densely growing flowers open up between August and October, which make the plant with a sea of blossoms a real sight. 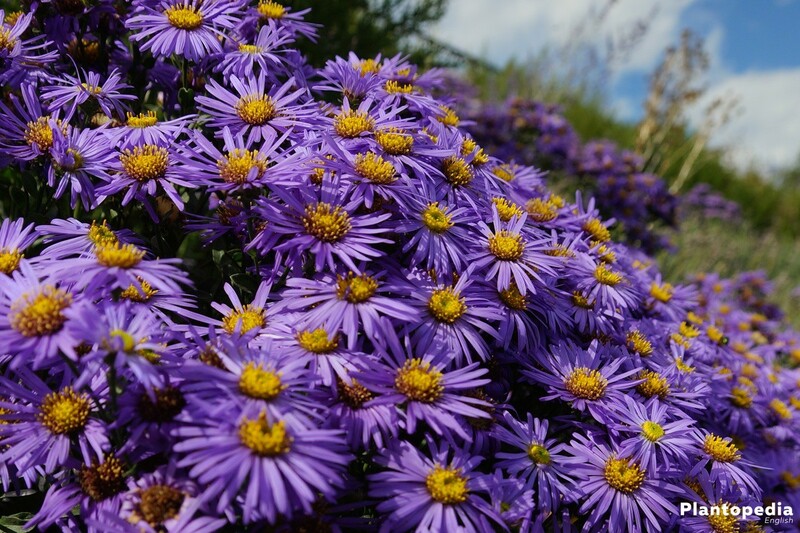 Asters have a very good effect both in the plot, as well as in the stone garden or in buckets. 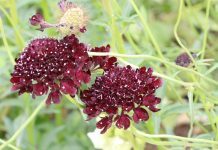 They are also popular as cut flowers in autumn bouquets. 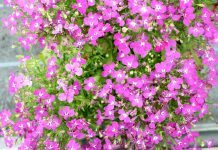 So that you have a long time to enjoy the colorful perennial, you should follow the instructions carefully. In addition to the viewer, insects are also happy about the blossoming splendor: the late-flowering asters serve as a food source for bees and butterflies in the autumn. White wood asters are comparatively robust, but somewhat more demanding than China asters. 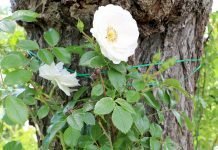 With a few measures and a regular care, diseases and pests can be avoided, so that the garden plant thrives and intensively blossoms for many years. A sunny location is best suited for white wood asters. In the morning and afternoon sun they grow optimally and form a lot of flowers. 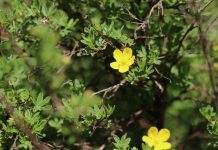 If possible, however, the shrub plants should not stand in the hot midday sun, as the flowers are not so tolerant and therefore the flowering time can shorten. 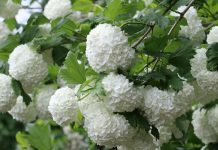 A few varieties can also be planted in a semi-shady location. The white wood aster grows optimally in a loose, nutrient-rich, humusible and permeable substrate. Normal garden earth is usually sufficient. If the soil is too sandy, however, it should be mixed with compost. Under too tight ground you can mix sand and / or compost to loosen it and improve its permeability. In spring or autumn, asters are placed in the ground. 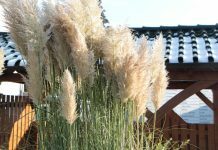 A minimum distance of 30 cm should be maintained between the individual perennials. This allows the air to circulate well, resulting in a reduced risk of disease and pest infestation. Young plants, which are still growing strongly, should be put somewhat further. A distance of 50 cm to 80 cm is recommended. The Aster does not tolerate permanent drought. The soil should always be kept fresh to damp, but without the formation of frost. 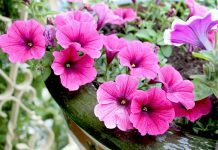 If it rains too little, the plant must therefore be regularly watered in the summer. Pour the shrub from below and close to the ground so that the leaves do not become moist. White wood asters are prone to mildew, which particularly likes moist leaves. 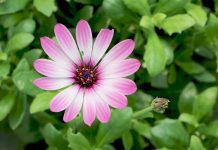 In order to stimulate the growth and favor a lush bloom, the aster should be fertilized once in the spring. For this purpose, for example, compost can be raked into the ground. Alternatively complete fertilizer is suitable. Withered flower heads can be carefully removed. This favors the growth of new flowers. 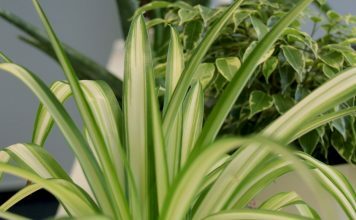 If the plant is completely faded, it can be cut back in the upper third. Subsequently, the complete retreat takes place either in late autumn or early spring. All branches and twigs are cut back so that only the base remains. The white wood aster can be breeded in different ways. Asters are most easily breeded by division. Every two to four years, a plant should be divided into two or more new plants that you plant separately from each other at a new location. This leads to a rejuvenation, which preserves the flowering ability and strengthens the plant. 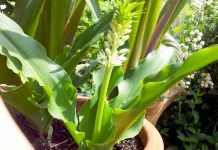 The division should be carried out after flowering in the late autumn or alternatively at the beginning of the spring. For this, the aster is divided with a sharp and clean knife at the root. To breed white wood asters over cuttings, first cut a shoot from the mother plant. This should be about ten centimeters long. Remove the foliage in the lower third and insert the shoot into a pot with a potting compost or a mixture of garden soil and sand. As a high humidity favors the growth, you should put a bag or something similar as a hood over the pot. White wood asters are sown outside in spring. The seeds germinate at temperatures between 18 and 21 degrees Celsius within two to three weeks. If you want to sow asters in summer, autumn or winter, you should do this in a bucket in the house or in the greenhouse. Again, a temperature between 18 and 21 degrees Celsius should be considered. The pre-grown plants can then later be placed outside. White wood asters are perennial and can overwinter in the bed. In order to protect the roots from frost, the soil can be covered with an additional compost layer around the plant for safety. The most common disease affecting the perennials is the aster-withering. The following symptoms indicate an attack. The disease is caused by fungus Verticillium, which blocks the plant and prevents it from passing on water. Infested shrubs are no longer to be saved and have to be dug generously as quickly as possible and disposed of in the organic waste collection bin. As the perennial fungals are embedded in the soil, the diseased plant must not be composted. 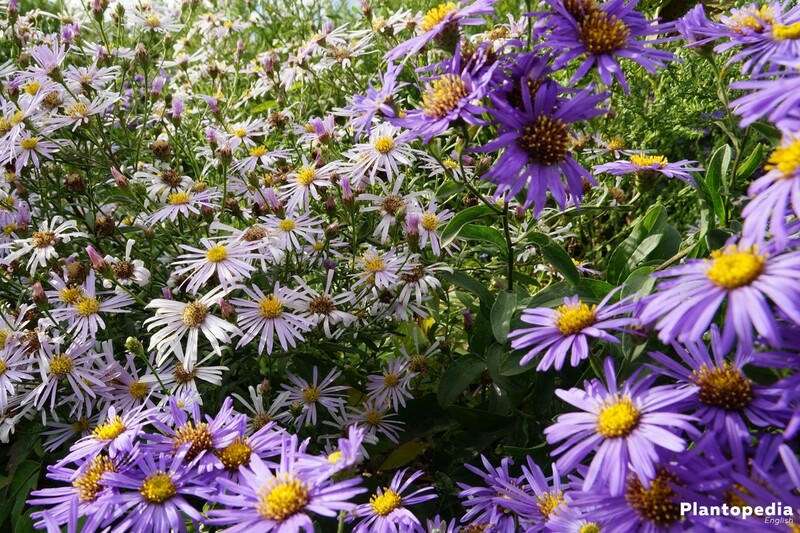 After the aster has been removed, the earth should be mixed with calcium nitrogen. At least eight years later, white wood asters can be planted again at the affected site. Since the fungi only attack asters, other plants can be used here. Care failures often lead to an infestation with powdery mildew. The main threatened are asters, which are constantly moist. The disease manifests itself through various symptoms. The aster can be saved if the infestation is detected in time. All affected plant parts must be cut off and disposed of in organic waste bin. Subsequently, the plant should be sprayed thoroughly with a fungicide, which acts against mildew. Asters are mainly affected by diseases, less by pests. 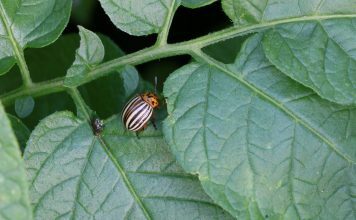 If a pest spreads on the plant, it is usually the aphid like on many other plants. Rinse the small insects with a stinging nettle or soapy solution. 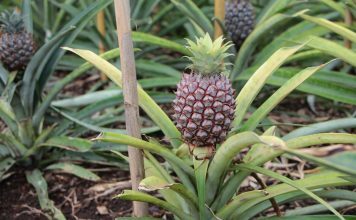 The affected plant should be sprayed several times at intervals of two to three days from all sides. Once no aphids are visible, you can complete the treatment. The white wood aster is a speciose plant, which differs mainly by size, color of the petals and sensitivity. The many varieties can be classified in three different ways. The aster dumosus is the lowest type and spreads out strongly to the side. 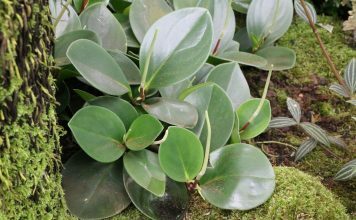 A shrub is between 20 cm and 50 cm high, which is why it is especially suitable for hardwood or as a bedding. It is also a popular cemetery plant. The Aster dumosus produces a particularly large quantity of small flowers. 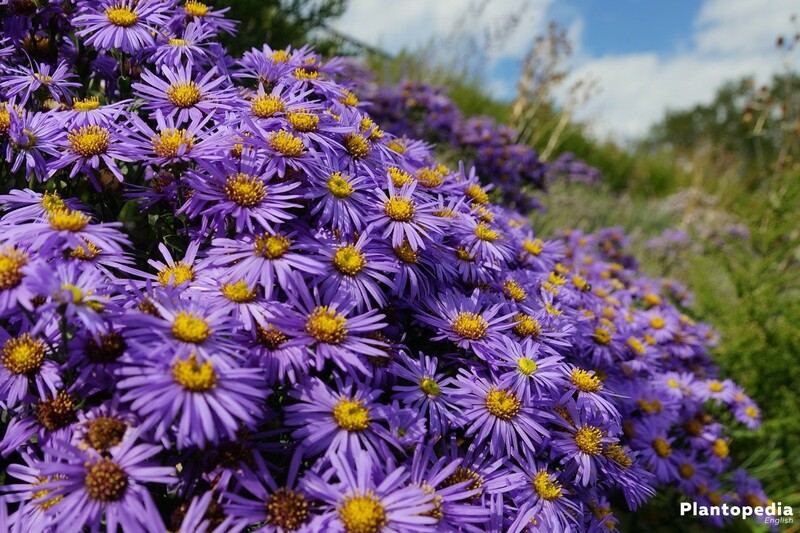 The New York aster differs mainly in its size from the aster dumosus: it achieves a growth height of 50 cm to 150 cm. Larger plants should be supported so that they do not bend. 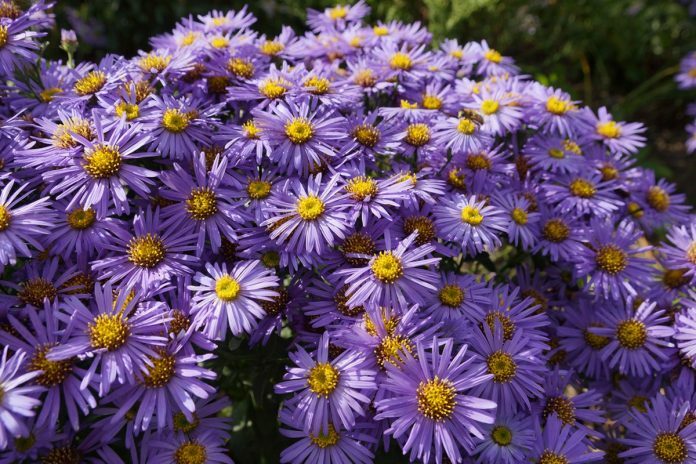 As the name suggests, this aster has smooth leaves. 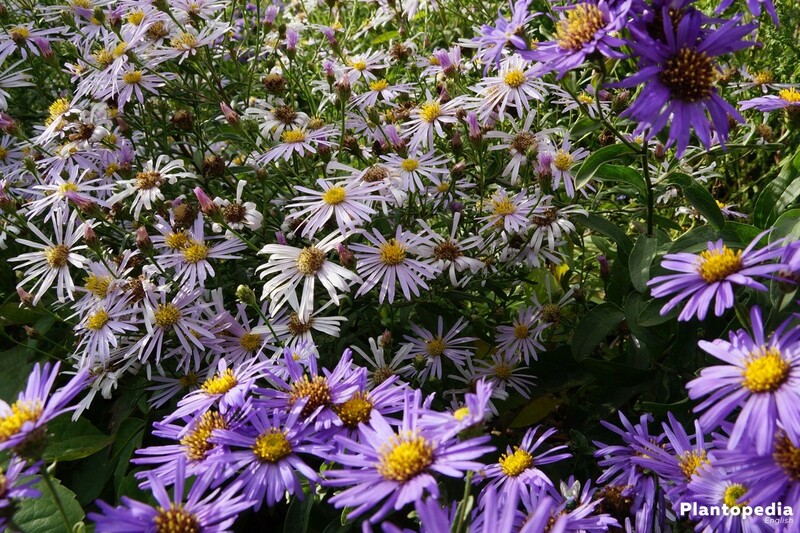 The Aster novi-belgii is more sensitive to diseases than their relatives. 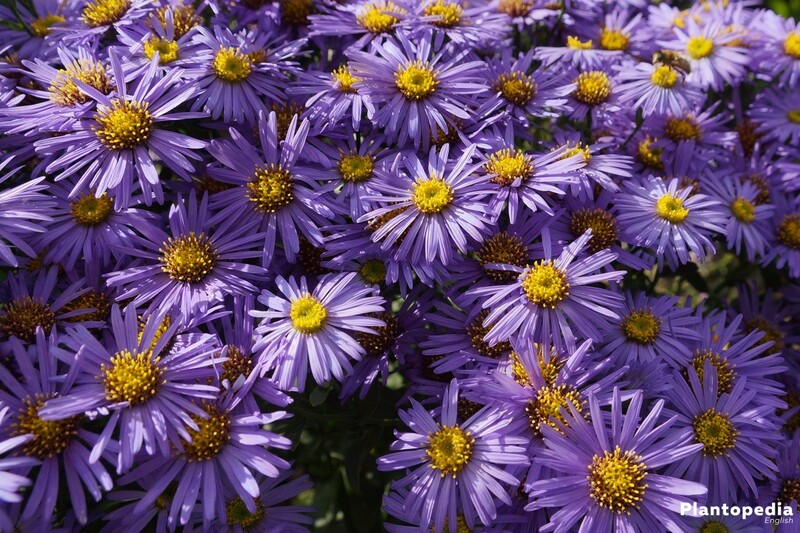 Also up to 150 cm can be the different varieties of the New England aster. This species is distinguished by its hairy leaves. In addition, their flowers close at night and in bad weather. 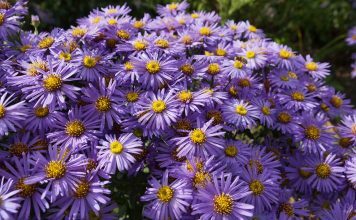 New England asters are more resistant to mildew than other species. 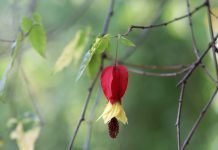 However, they tend to discard their leaves in the lower part during flowering. Therefore, the aster novae-angliae often looks bare. However, those who planted lower plants around this species can conceal this easily.